The Gucci brand is one of the most prestigious luxury goods brands in the world along with Chanel, Louis Vuitton and Fendi. Thus, it's no surprise that many fake and counterfeit Gucci products (like bags, shoes and wallets) are sold every year. In fact, some counterfeit Gucci wallets are so well-made that sometimes it's difficult to tell them apart from the real thing. You have to be extremely observant and know quite a lot about authentic Gucci wallets to know the difference. Study the logo. 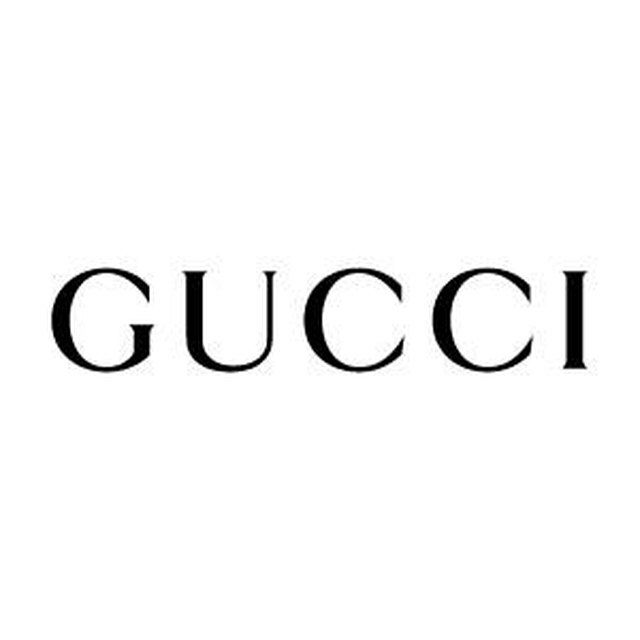 The traditional Gucci logo is written in all caps. Also, if you look closely you will notice that the font is sans-serif, meaning it does not have the small features known as "serifs," or feet, at the end of the strokes on the letters. On a Gucci wallet, the logo will be on the inside, never on the outside. Make sure the "double G" logo looks like two capital letter G's facing each other upside down. Make sure it comes with an authentication and identification card. This is a small card, similar to a business card, that contains an identifying unique serial number. 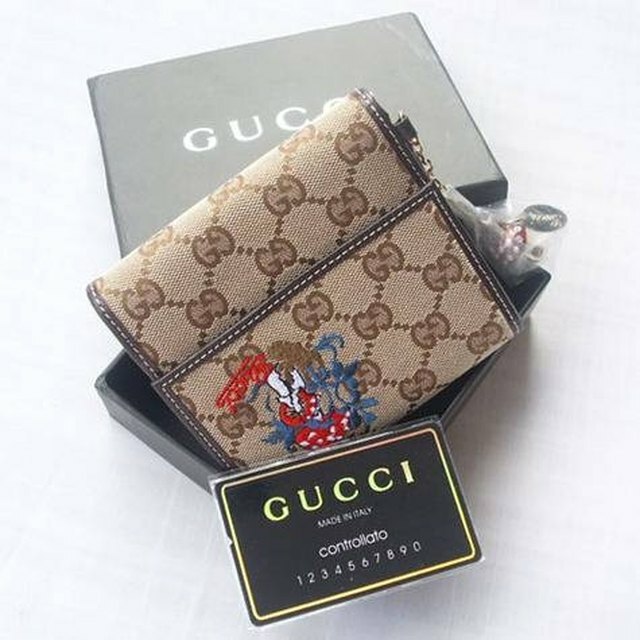 You can use the serial number to make sure that the wallet is real by taking it to an official Gucci store or contacting a representative via the Gucci website. Make sure it comes with extras including a small dust bag and Gucci box. If it's wrapped in plastic, it's definitely a fake. All authentic Gucci items, be it a wallet or shoes, come with a dust bag for storage. The dust bag also has the Gucci logo on it. Check the price. Most Gucci wallets range in price from $500 to $1,500 on average. If the price seems too good to be true (unless you're buying it from an outlet store and the price has been marked down), then it probably is. Check for shoddy craftsmanship like a crooked logo, loose threads and low-quality fabric. Authentic Gucci wallets are always made of real leather, suede or canvas. The stitching will be close together and extremely tight. Always buy your Gucci wallet from a Gucci boutique, the official Gucci website or a reputable dealer like Bloomingdale's, Saks Fifth Avenue and Barneys New York; this is a sure way to guarantee that you are buying an authentic Gucci piece. Make sure you get a receipt for your wallet purchase. If the seller gives you a valid receipt, chances are that the wallet is authentic because now you have the option of returning or exchanging the item. Any reputable Gucci dealer will offer you a receipt and refund opportunity.